Click the gear icon in the sidebar to access the settings. More information can be found in the article Advanced settings. Changes are automatically applied, saved and applied again upon next program start. 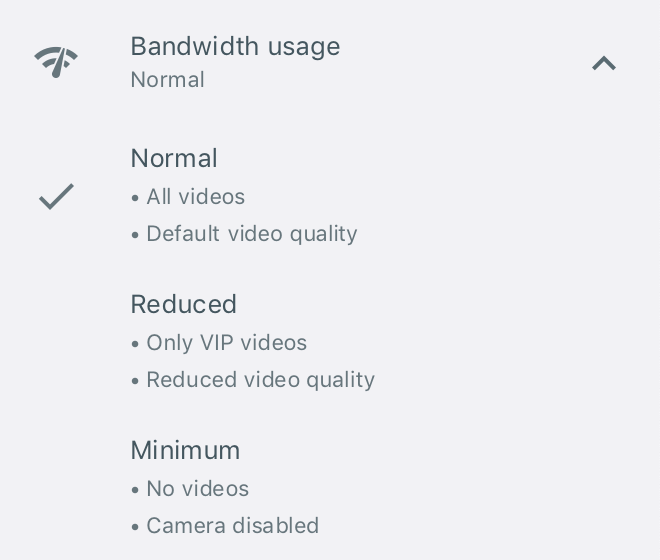 Normal: All videos are transmitted in normal quality (default setting). Reduced: Video of normal attendees will be disabled, moderators videos will continue to broadcast. The own video is transmitted in reduced quality. Minimum: All videos are deactivated, including your own video. The screen share and the transmission of audio remain unchanged by this setting. The voice activation level controls the microphone sensitivity. This setting determines at which voice volume the microphone is activated. Click the settings item to display the voice activation level slider. 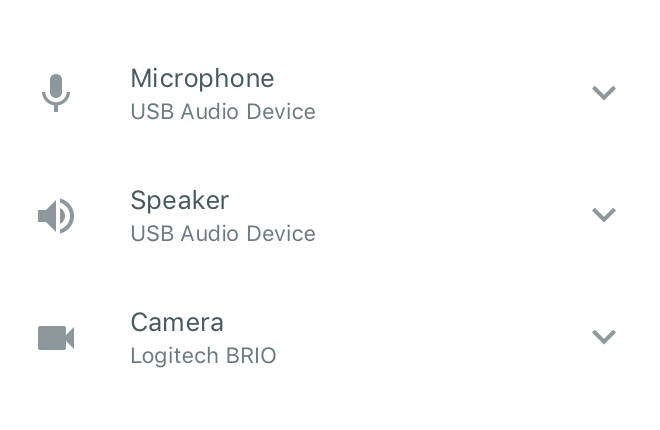 Make sure to select the desired microphone. Adjust the slider so that it is in the blue area while speaking. When using a headset, the value is usually 45 (default). This setting determines the basic volume of the application. Determine the desired microphone, speaker or camera in the respective selection menu. Newly connected devices are listed in the selection menu as soon as they have been detected by the operating system. Opens the advanced settings in a separate window. More information can be found in the article Advanced settings.